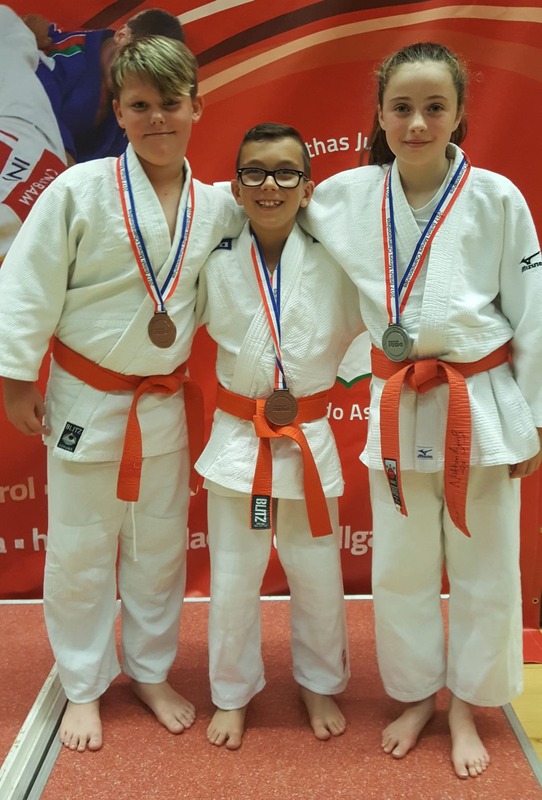 The club travelled to Cardiff with three competitors to attend the British Judo Association's British Minors Championships Hosted By Welsh Judo. The event is the National Championships for boys and girls born in 2006 & 2007. Charlie Hutton fought in the boys under27kg event securing the firstBronze medal of the day. Joe Flaherty also won a bronze medal from a pool of 5 judoka in the boys under 50kg event. Jenni Francis had a fantastic event, fighting six contests, winning four with Ippon (Maximum score) and losing one contest, to return with an excellent Silver medal. This is the first time all three Judoka have competed at this national level, and to return with a mdeal each was a fantastic achievement.